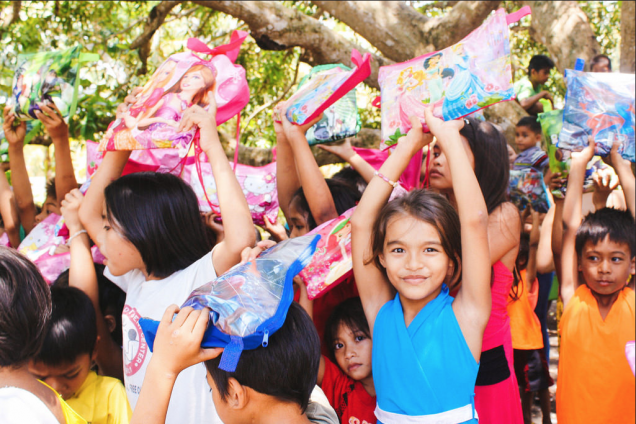 Photo: Children in an impoverished community with no means to purchase school supplies are happy to receive all the supplies they’ll need to enroll in school. Thanks to your generous donations and profits from our farmland enterprise, we recently distributed school supplies to 415 impoverished children — last Friday they received notebooks, pens, pencils, pencil sharpeners, paper, Crayons, rulers, erasers, folders, and backpacks, enabling them to enroll for the start of the Filipino school year, which began this month. These school supplies are items their families could not afford — supplies they must have in order to attend local schools. The children are very happy because now they have the materials they need for their studies. In addition, 31 children received full scholarships this year, providing them with other school needs such as uniforms and shoes in addition to supplies. All of the children are excited to study English, science, math, social studies, and the Filipino language during this school semester. In other news, our girls at the girls home are happy to ride in our mini-cab to and from school, a good means of transportation not only for our students, but also for the members of our native team’s church community as needed. Now with funds recently provided for new tires and renewed registration, we are thankful to start using it again just in time for the school season. 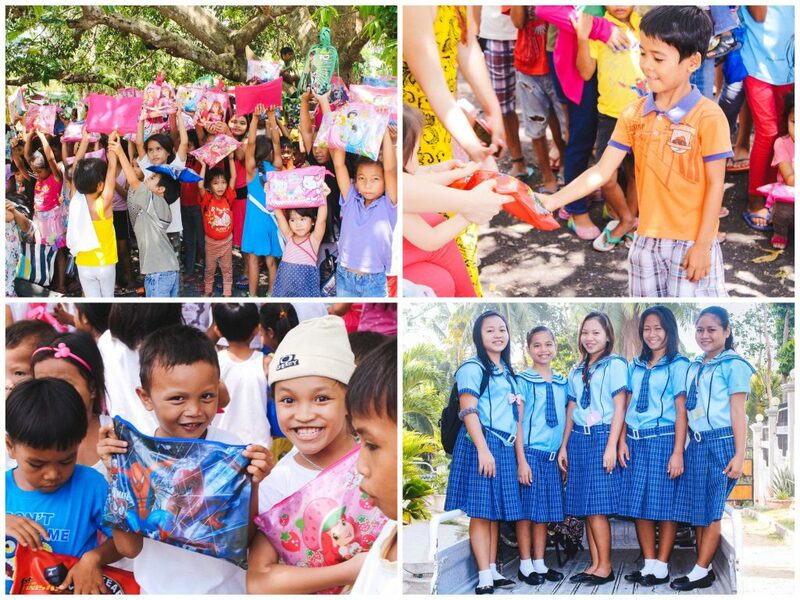 Our team reaches out to the children of the Cebu Island through Saturday VBS-style day camps, which they began 6 years ago, providing a fun, enriching environment where the children learn songs, make crafts, and play group games. They’re also given basic hygiene supplies and taught how to brush their teeth. Sadly, 3 out of 4 children on the island experience advanced tooth decay. We’re seeing vast improvement in these statistics among the villages in which we’re working. In pursuit of our sustainability goals, we’ve equipped our team with a hen house that currently produces over 150 eggs per day, and a banana grove that yields over 6,000 bananas a year. It’s working well along with our two fishery ponds at the farmland. The main concrete-lined pond holds a volume of approximately 20,000 gallons (75,000 liters) of fresh water pumped from our on-campus well. The fishery is located on our existing campus on Cebu. We believe that all of these efforts will help diversify and increase profits, empowering our local team to reach even more children.